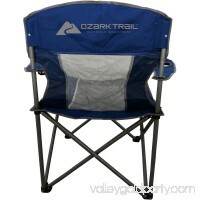 Own the Ozark Trail Adjustable Lumbar Mesh Chair and own a comfortable seat in the great outdoors that will help support your back! 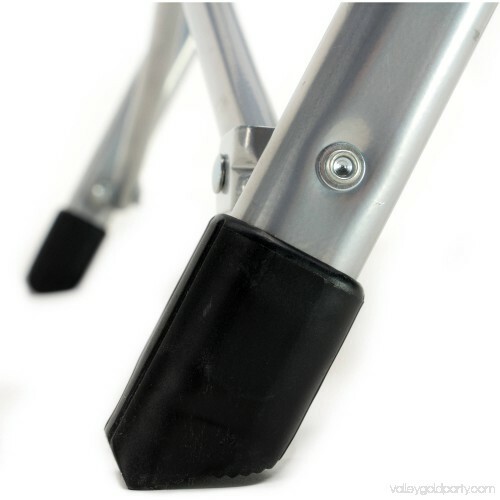 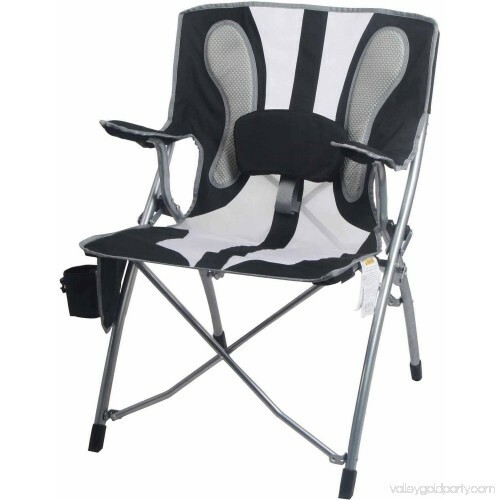 With 100 percent polyester seat fabric and corrosion-resistant powder-coated steel legs, this heavy duty arm chair is built for relaxation and intended to last. 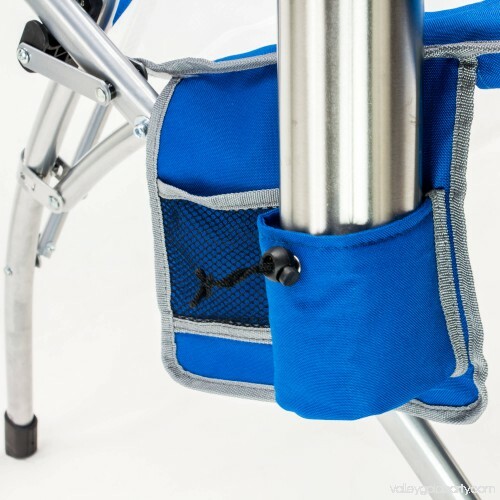 Use the Adjustable Lumbar Support Pad to give your lower back much needed relief by guiding your spine into perfect posture. 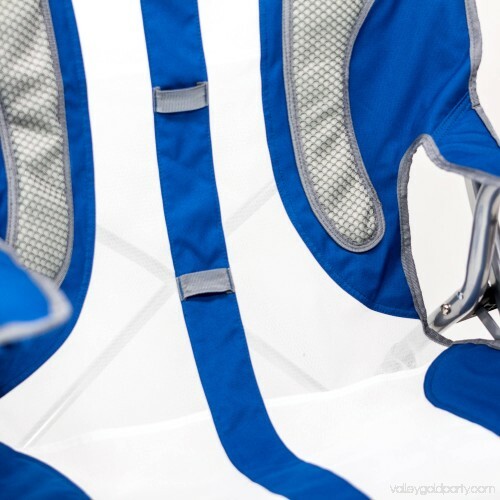 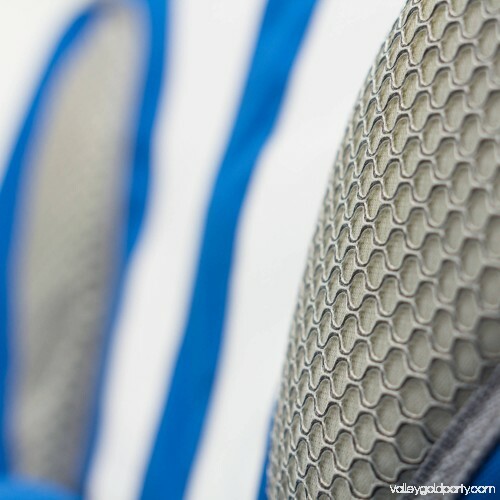 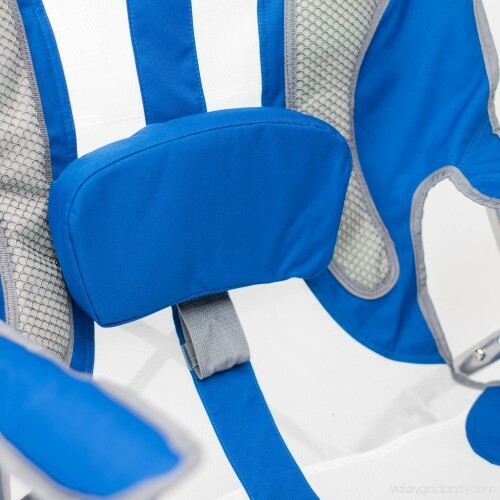 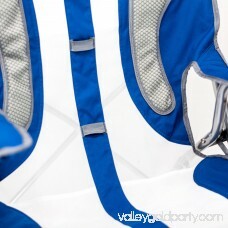 The Lumbar Support Pad is removable to give you the choice to use or not use — comfort freedom. 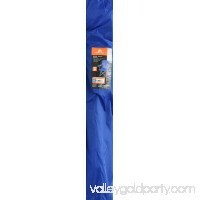 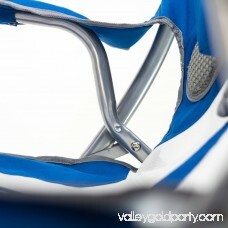 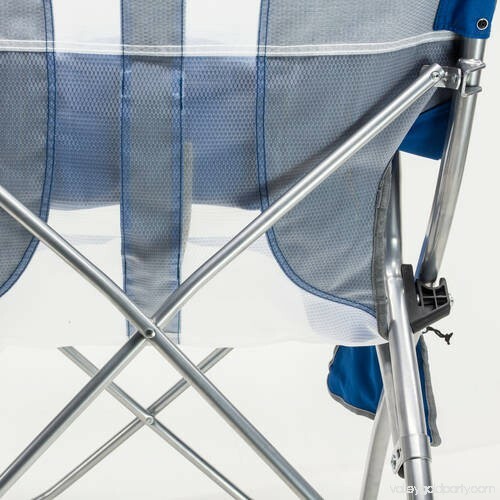 Padded steel arms add to this chairs astounding strength and rigidity, while the rip-stop poly mesh fabric keeps it cool. 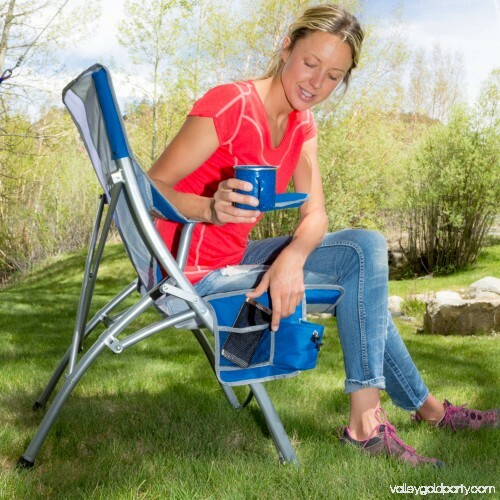 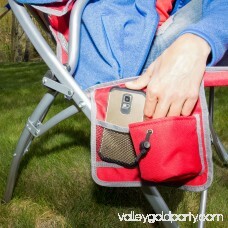 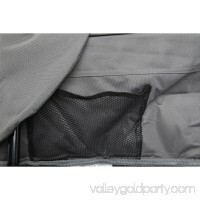 Built for comfort and convenience, the organizer panel features an insulated cup holder to keep your beverage the temperature you want it, and a breathable mesh pocket. 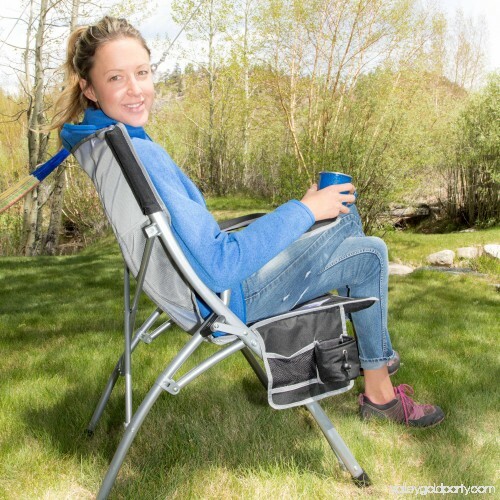 With the portable design and carry bag, you can enjoy this heavy-duty adjustable lumbar mesh chair anywhere you go in the great outdoors. 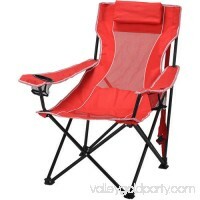 This camping chair will hold up to 225 pounds. 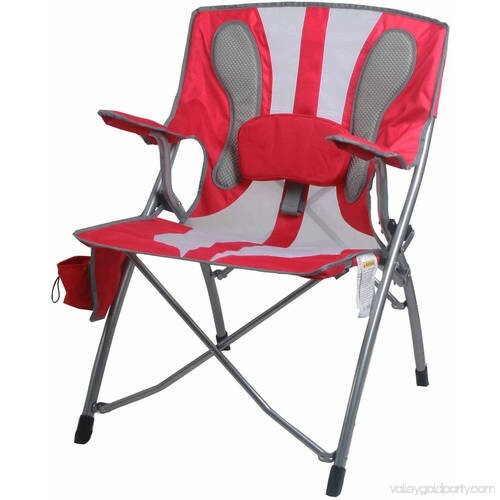 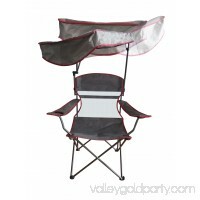 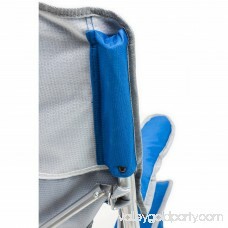 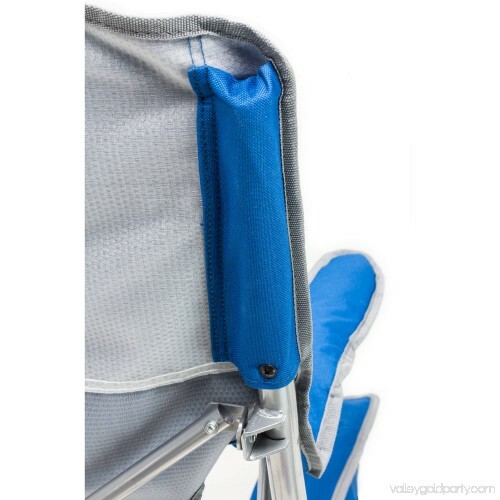 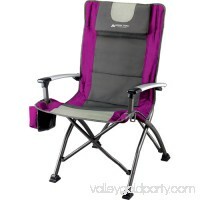 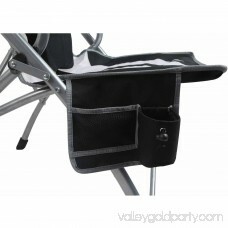 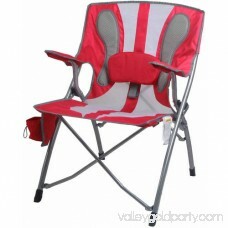 TheOzark Trail Adjustable Lumbar Mesh Chair has a durable steel frame with a cup holder.